The Head of the State Property Fund of Ukraine (SPF) Vitaliy Trubarov says some 1,255 out of 3,500 state-run businesses in Ukraine are not operating and should be liquidated. The state has done nothing for these enterprises to survive. “We have analyzed the existing 3,500 state-owned enterprises. Unfortunately, 1,255 of them are asset-stripped corporations that will be subject to liquidation. The state has done nothing for these companies and we have lost them,” he told a Ukrainian radio station on 11 April, UNIAN reports. As reported earlier, the Ukrainian parliament passed the bill on the privatization of state property on 18 January 2018. The President of Ukraine Petro Poroshenko signed the bill into law at the beginning of March. 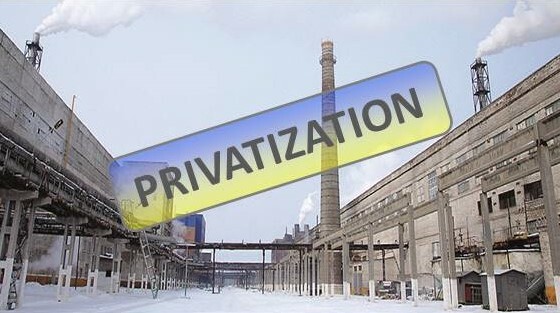 The main goal of the law is to promote the privatization process by simplifying the classification of facilities for sale, splitting them into small- and large-sized businesses subject to privatization. The law also provides for adding more assets onto the privatization list, shortening the period of sale, providing the possibility of issuing a bank guarantee, and unifying the ways of selling state property. The state budget of Ukraine for 2018 provides for $819.9 million in privatization proceeds. In 2017, revenue from the sale of state assets was forecast at $658.2 million. In reality, the actual revenue amounted to $130.9 million. Altogether, the government intends to sell over 900 state-owned corporations.